A Cloud Drive right in Mac Finder. Edit files directly by simply double clicking! 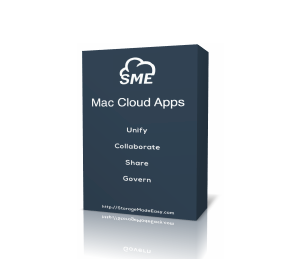 The Mac Cloud Apps brings the Cloud directly into the Mac Desktop! Cloud Drive: Adds a mapped Cloud Drive that appears directly in Finder. Finder integration: Integrated ito Finder actions for sharing or locking a file. Desktop Sync: In addition to the drive nominate local or cloud folders for sync. Mail Integration Integrates directly into Mac Mail for secure file sharing. Search integration: Accessible directly from the toolbar. Unified Coud File Access: Access files from all your public/private Clouds. You can find out more and read about the functionality on our Wiki.